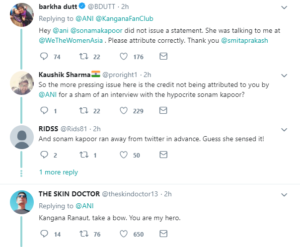 Kangana’s reply to Sonam : Who gives her right to judge me? Kangana Ranaut never shy in expressing her feelings and comments.During her an event of ramp walk she interact with media.Reporters asked her about the Sonam kapoor’s comment on her controversy with Vishal Bhal director of queen. 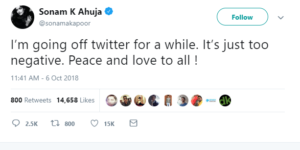 After all this barkha dutt comes to rescue but twitter turned negative for sonam.After all this sonam take a back step from twitter after this tweet.